Well done to the year 7 team who travelled to Shrewbury to take part in the PGL schools netball tournament. 10 teams entered from across the country and Bodmin finished in 4th position overall. The two days consisted of competitive netball and adventurous activities. 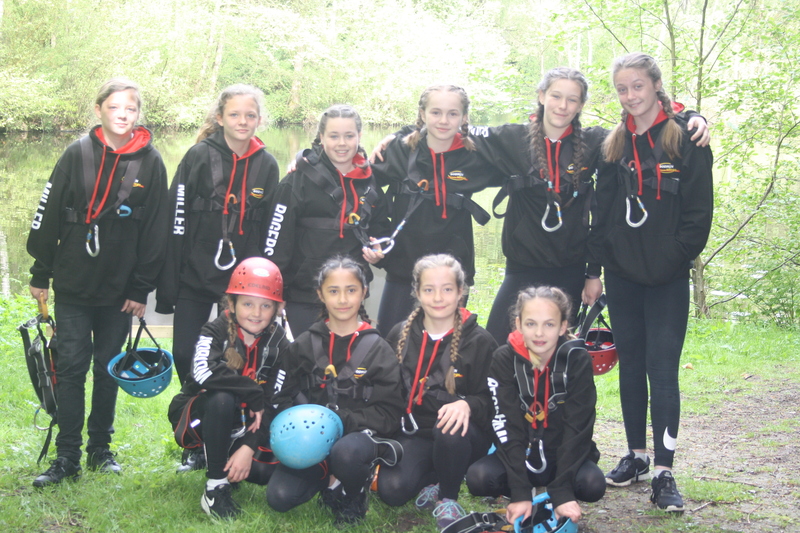 The team took part in the following adventurous activities; the big swing, abseiling, quad biking, climbing, zip lining and the leap of faith. They played some good quality netball over the two days and developed their individual skill set. They showed great determination, enthusiasm and sportsmanship throughout the competition. On the final day they got to meet Manchester Thunder star Bea Skingsley who plays in the netball superleague. Well done to all the girls who took part.